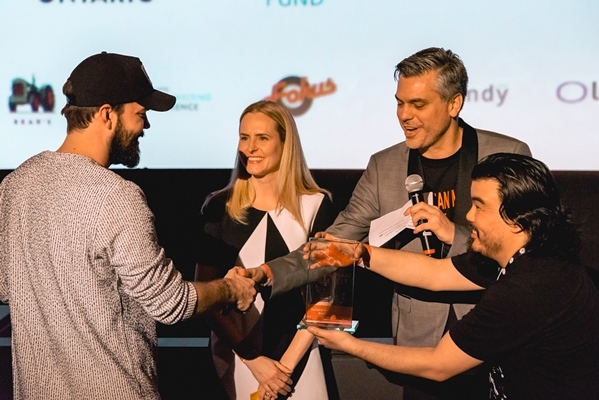 The Grizzlies director walked away with the DGC's Feature Film award, while Skogland won the drama series prize for her work on The Handmaid's Tale. Miranda de Pencier, Kari Skogland and Mary Harron were among the directors taking home top honours at the 17th annual Directors Guild of Canada (DGC) Awards on Saturday night. Held at the Fairmont Royal York, the event was hosted by Paul Sun-Hyung Lee (Kim’s Convenience) and directed by Charles Officer (Unarmed Verses). The DGC’s Feature Film award went to de Pencier for her feature directorial debut The Grizzlies (pictured). Other directors competing in the category were Molly McGlynn (Mary Goes Round), Kyle Rideout (Adventures in Public School) and Keith Behrman (Giant Little Ones). 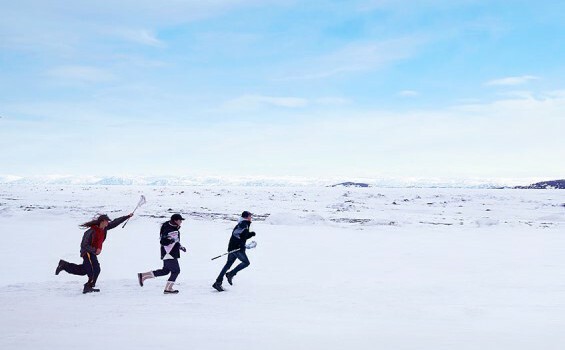 Produced by de Pencier’s Northwood Entertainment banner and Puhitaq, The Grizzlies recently made its world premiere at TIFF and also nabbed the Calgary International Film Festival’s audience award for best Canadian feature. Meanwhile, Skogland picked up the prize for directorial achievement in a drama series for her work on The Handmaid’s Tale episode “Night.” The director bested fellow nominees Adam Kane (American Gods, “A Prayer for Mad Sweeney”), Daniel Grou (Vikings, “Moments of Vision”) and John Vatcher (Frontier, “The Wolf and the Bear”). In addition, Christopher Donaldson won the award for best picture editing in a TV series for his work on the Toronto-shot series. In the MOW and miniseries category, Harron claimed the directing prize for Alias Grace, while the Halfire Entertainment limited series for CBC/Netflix also won best production design (Arvinder Greywal) and best picture editing (David Wharnsby). The award for outstanding comedy direction went to Yael Staav for Baroness Von Sketch Show‘s “It Satisfies on a Very Basic Level,” while Bruce McDonald won the prize for outstanding directorial achievement in a family series for Heartland‘s “A Fine Balance.” Jennifer Baichwal nabbed the prize for excellence in documentary for the Tragically Hip doc, Long Time Running. Celebrating new talent, the DGC’s Discovery award went to Andrea Bussman for her Canada/Mexico copro Fausto. The Shape of Water was also recognized with three prizes: best sound editing in a feature film (Nathan Robitaille, Nelson Ferreira, Jill Purdy, Robert Hegedus, Kevin Howard, Alex Bullick, Dashen Naidoo, Tyler Whitham and Dustin Harris), best feature film picture editing (Sidney Wolinsky), and best production design (Paul Austerberry). Other winners include The Expanse for best sounding editing in a TV series for the episode “Home,” Cardinal: Blackfly for best MOW or miniseries sound editing, Robin Hays’ Post No Bills for best short film and Roderick Deogrades’ Silas for best picture editing in a doc. Finally, the night’s lifetime achievement award went to Vic Sarin, while Norma Bailey took home the distinguished service prize and documentarian Alanis Obomsawin was awarded the DGC’s honourary life member title.